New York Times Bestselling Author's Newest Biblical-Era SeriesFive decades before the birth of Christ, Chava, daughter of the royal tutor, grows up with Urbi, a princess in Alexandria's royal palace. 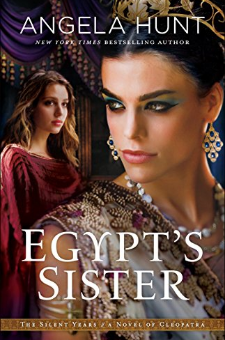 When Urbi becomes Queen Cleopatra, Chava vows to be a faithful friend no matter what--but after she and Cleopatra have an argument, she finds herself imprisoned and sold into slavery. Torn from her family, her community, and her elevated place in Alexandrian society, Chava finds herself cast off and alone in Rome. Forced to learn difficult lessons, she struggles to trust a promise HaShem has given her. After experiencing the best and worst of Roman society, Chava must choose between love and honor, between her own desires and God's will for her life.